Bronx Lat Hooks have steel hooks with grip coating, neoprene padding for wrist protection and heavy duty Velcro closure to ensure the hook stays on. 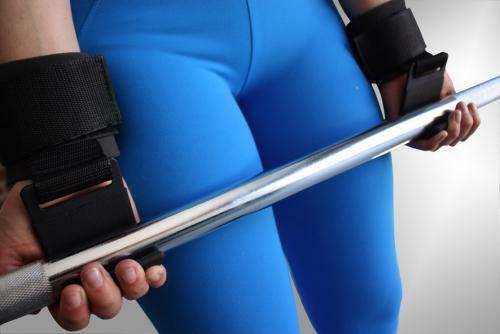 Retain control through supported grip– removes fatigue in hands and forearms. Helps to isolate muscle groups—i.e., the lats when performing pulldowns. Can also be used for shrugs, barbell rows, deadlifts and cable rows.